Megan Winkeler is a mediator, trainer, and staff member at MWI. As a Program Manager at MWI, Megan manages grant writing and program development for MWI’s mediation and negotiation training programs. In particular, Megan developed and directs the MWI Women’s Negotiation Project, a program which offers free negotiation workshops to income-eligible women in Boston. As a mediator, Megan handles housing and civil disputes, workplace and employment cases, harassment prevention orders, and cases through MassHousing’s TAP Mediation Program. As a trainer, Megan provides mediation training at MWI’s Forty Hour Mediation Training and for clients such as the Fletcher School of Law and Diplomacy at Tufts University, the Massachusetts Institute of Technology, and the Association of Corporate Counsel. Megan also works as a negotiation trainer with companies and government entities such as Eastman Chemical and the Nevada Department of Transportation. 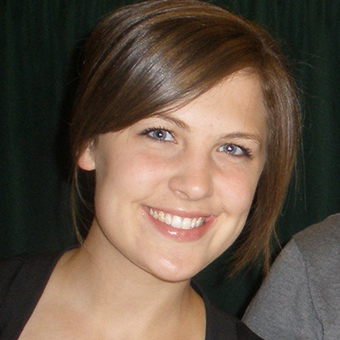 Megan is a graduate of Illinois Wesleyan University, where she received her BA in Political Science and Philosophy. After graduation, she served as an Ambassadorial Scholar for Rotary International, studying conflict resolution and transitional justice at the University of Cape Town in South Africa. During her graduate studies, Megan helped develop community dispute resolution programs with PASSOP, a non-profit focused on protecting the rights of refugees in South Africa.